One simply can’t write about oil-controlling makeup without possessing some highly overactive sebaceous glands. So you can safely assume that I am no stranger to a shiny forehead—it’s something I’ve tried combatting with everything from harsh cleansers to blotting papers. Oil-controlling primers, my most recent discovery, promise to not only make your makeup stay put all day (which is hard enough to achieve when you have a shiny complexion), but to also combat over-enthusiastic oil production. These products typically contain polymers that simultaneously bind the foundation with your skin while also creating a smooth finish—the perfect canvas for makeup. Some also have ingredients that can help to balance out shine, like silica. The result? An even, sheen-free finish and makeup that lasts all day. It almost sounds too good to be true, which is why I put six popular products to the test. Unsurprisingly, I discovered that not all primers have the same oil-controlling qualities, so keep scrolling to find out which primers actually work, and which don’t. 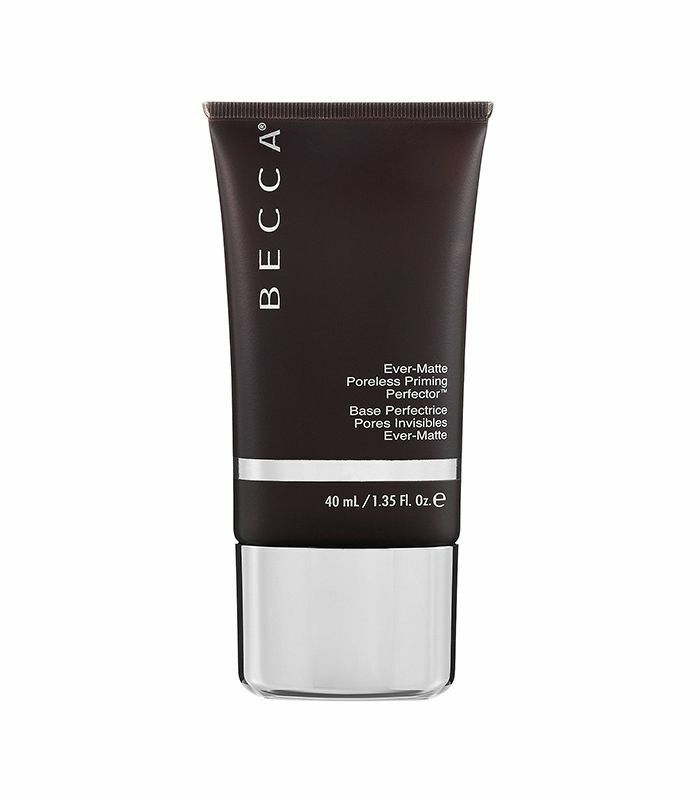 “Too matte” is not a phrase one expects to hear from a girl who publicly laments her oily complexion, but here we are: Becca’s Ever-Matte Poreless Priming Perfector is just overly effective, and I’m not crazy about it. Although I curse my shiny skin, I do strive for a complexion that’s dewy rather than either oily or matte, and this primer just didn’t get me there. However, if a super-matte look is the one you're striving for, then this is the product for you. There’s a strategic way you’re supposed to apply this particular formula, too. It absorbs fast, so foundation needs to go on quickly afterward. If you rub it into the skin, it can dry and ball up (not cute), so instead, warm up your hands first and then tap the primer across your face until it absorbs. High maintenance, I know, but this technique will get you the best results. I’d heard that this stuff lasts all day, and indeed it was a good eight or nine hours before I thought my skin started to show hints of that all-too-familiar sheen—a Herculean effort! 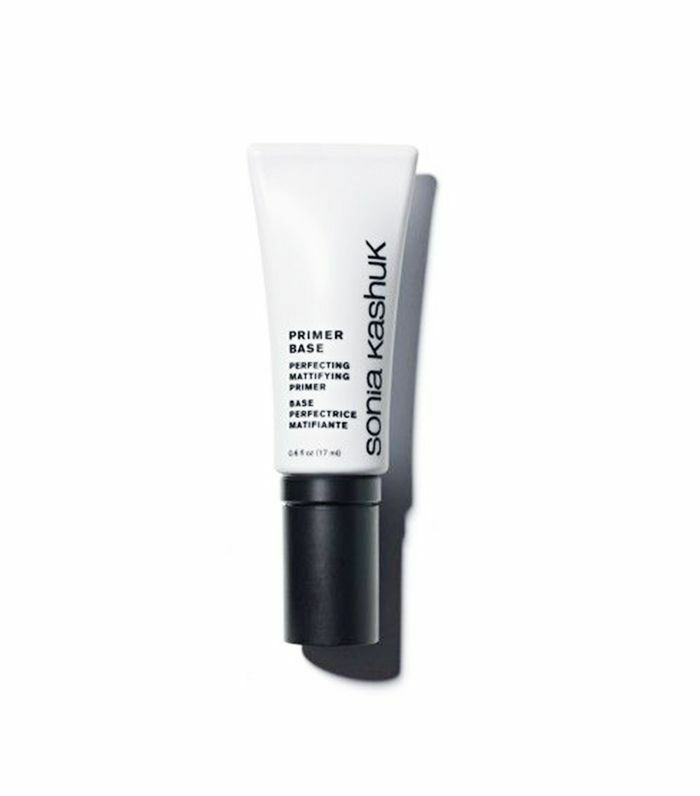 Can I get a round of applause please for Sonia Kashuk’s mattifying primer? Not only did it successfully balance my overzealous oil glands, but the matte finish didn’t dry out my skin or leave a powdery finish. The paraben-free solution is clear (kind of like a serum), and glides on effortlessly over the skin. I had to be careful to spread it evenly and slowly because rubbing the formula into my face caused it to ball up and peel. Once applied, it—and my makeup—stayed put for well over eight hours, at which point it was time to wash my face and hit the gym. Not bad for $8. It took all of three seconds for me to fall in love with this primer—the words “mineral” and “paraben-free” caught my attention immediately, and I’m a sucker for any makeup claiming to be even vaguely natural. After removing the lid, I used two pumps of the smooth, velvety formula on my wrist. Feels like satin, I thought, before spreading a pea-sized amount of the solution over my face. Compared with other primers I’ve tried, this one definitely feels less greasy, so I had high hopes for it. I coated my skin with liquid foundation, dabbed Bare Minerals concealer under my eyes, swiped some Nars bronzer across my cheekbones, and checked out my complexion in the mirror. Evenly-covered, a little dewy, but not oily—good start. For the first few hours, I sat around the house working on a story, and at around 11 a.m. I took my primer out for a test run on the subway, an experience I rarely escape without at least a little sheen. By the time the sun went down, I’d taken the subway twice, walked about 20 blocks, sat through two meetings, spent several hours working at my desk, and had taken a reformer Pilates class. Still, no shine; I think we’ve found a winner folks! 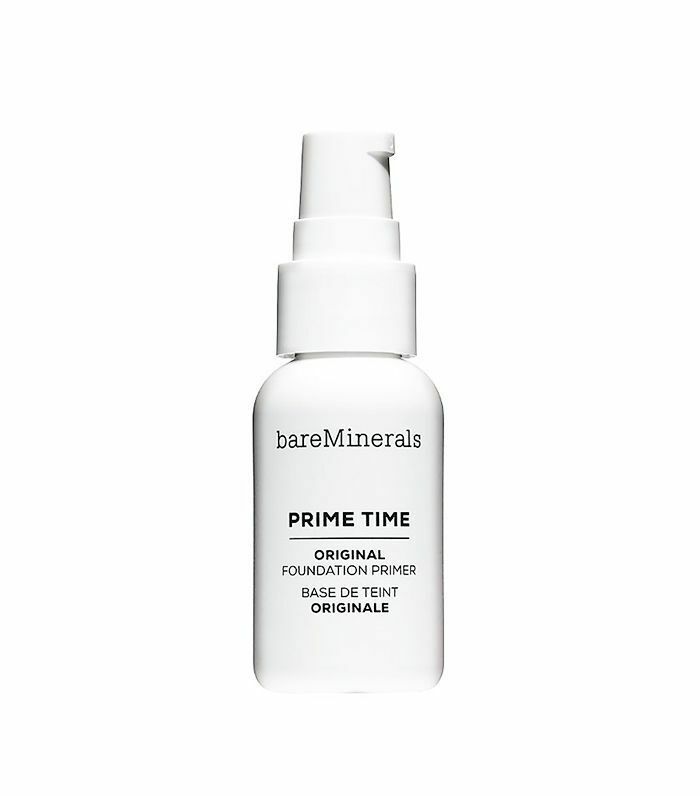 At $25, the BareMinerals Prime Time option is a reasonably affordable one, and also includes plant extracts, antioxidants, and vitamins C and E. For these reasons, I wanted this primer to be my favorite, but it wasn’t. Yes, it does deliver on its promise to blur over uneven skin patches and fine lines, and my makeup smoothed easily over the top of it. Unfortunately, Prime Time wasn’t effective at combatting excess oil, another one of the product’s claims. My face was a shining bright like a diamond within hours of application. Expecting a white or clear solution, the creamy-beige shade of Benefit’s Porefessional Face Primer threw me at first. Only after hesitantly testing it on the back of my hand to ascertain that no, the primer wouldn’t be visible under my foundation, did I dare to smooth a pea-sized drop over my face. And then another pea-sized drop—Benefit’s primer is way less spreadable than the others I tried, and it took twice the normal amount to cover my whole face. The finish was soft and silky, but also a little powdery, and I’m convinced my makeup looked thicker and a cakier than usual when applied over the top. Also, POREfessional’s main claim is that it minimizes pores—hence the name. Personally, I didn’t really notice a real difference in that department, but FWIW, my makeup did stay put all day, so this isn’t a bad option for people who prefer thicker coverage. Although Benefit doesn’t promise that this product will keep oily skin at bay, it was recommended to me by a fellow greasy-skin girlfriend, who swears it’s super-effective and pointed out that the formula is oil-free—which means it at least won’t make your face any shinier. As the afternoon wore on, my forehead became a little glossy, but Benefit’s primer still fared better than some of the more expensive options on this list. 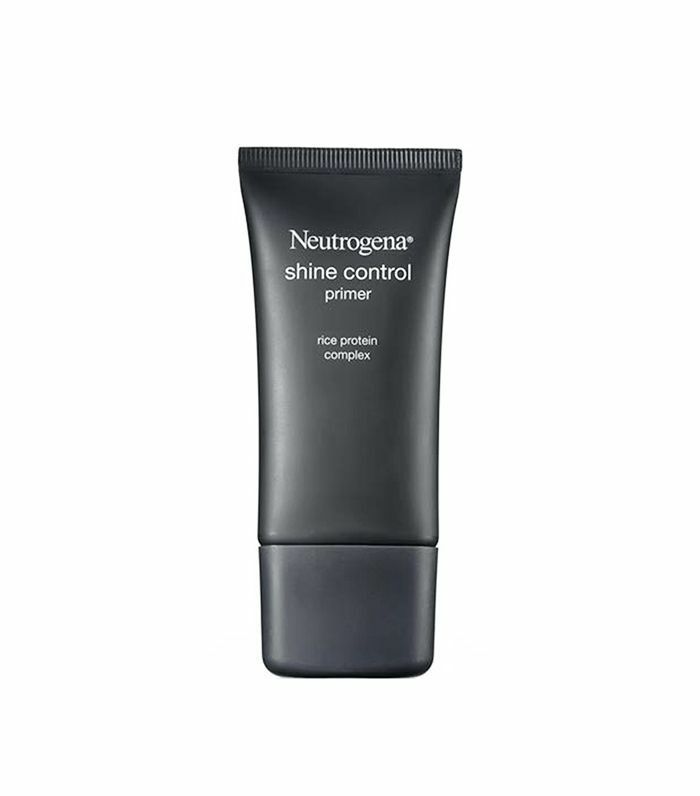 At $14, Neutrogena’s primer is certainly a budget option, but don’t let the price fool you into thinking it’s ineffective. I was impressed with the product’s longevity, and my skin remained shine-free, even after navigating the subway and walking around the city for over an hour. 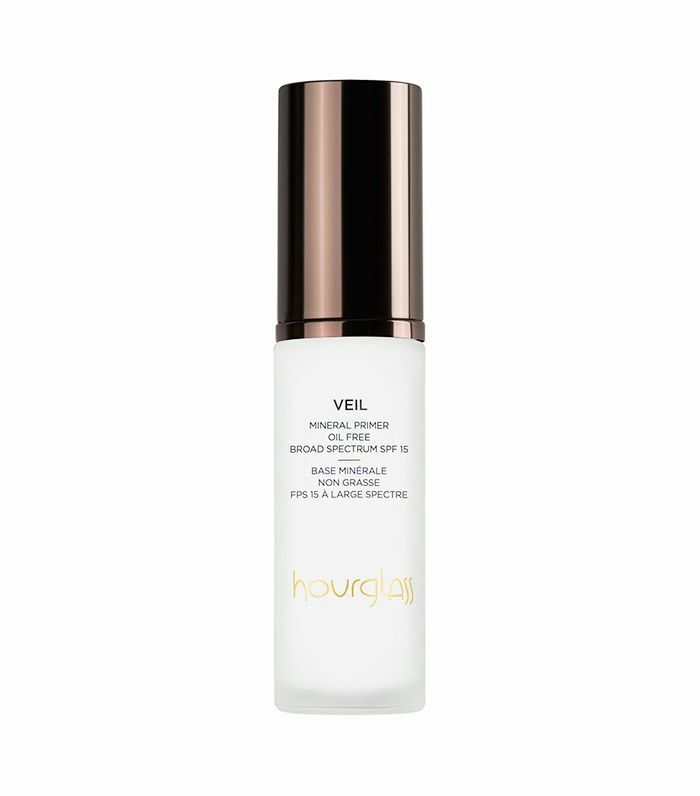 It glides on easily, and liquid foundation follows evenly over the top. After about five hours, I felt like I needed to touch up, however, during that time my complexion was a little glowy, but not at all shiny. Tick, tick, tick! I have one qualm, though, and it’s with the fragrance mixed into the Neutrogena product. While I don’t have sensitive skin, plenty of people—even those who have oily complexions—might find this additional ingredient a little irritating. If your skin’s on the touchy side, move along; this isn’t the primer for you.